Here at Tele Vue headquarters, eyepieces, scopes, accessories, tools, literature, and banners are coming off the shelves and being boxed up. It looks like we’re moving. Are we? No, it’s just that we’re getting ready for the annual Northeast Astronomy Forum (NEAF) in Suffern, NY. All the aforementioned activity here is because we bring everything to this yearly event. After all, NEAF is the billed as the “World’s Largest Astronomy & Space Expo.” Over the course of two days, thousands of visitors will descend on the Field House at SUNY Rockland Community College (RCC) in Suffern, to see, handle, and maybe buy just about every astronomical product on the market today — all under one roof. Who the *#%! 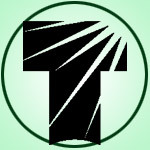 would travel to Rockland County to see a telescope show? 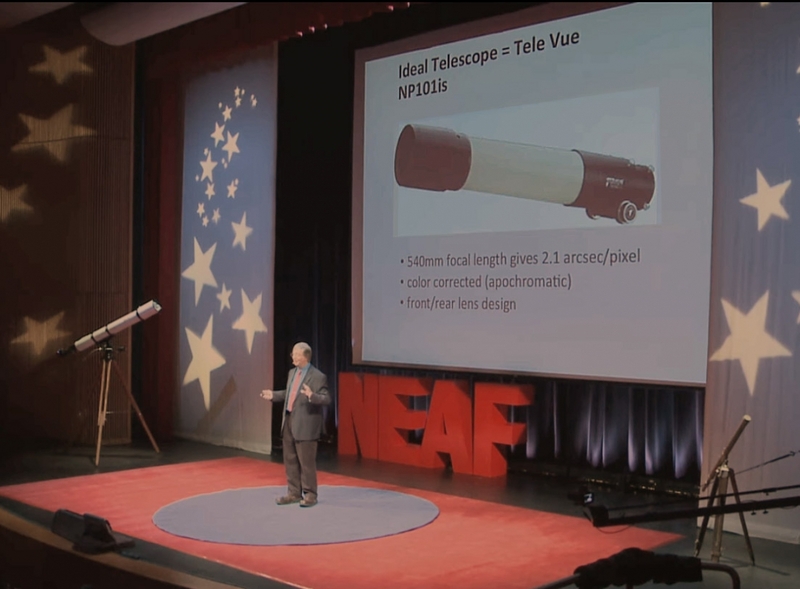 We regard NEAF as our “home show” because the history of NEAF and Tele Vue are intertwined through Tele Vue founder Al Nagler’s involvement with the Rockland Astronomy Club (RAC). RAC had for decades been an observing-only group with no regular business meetings. To boost membership, they started having scheduled events at the RCC. However, the real game-changer was RAC’s unofficial chairman Allan Green’s proposal for a telescope show at RCC. He had gotten the idea after attending an astronomy expo in Connecticut with Tele Vue’s Al Nagler. A skeptical Al countered; “Who the *#%! would travel to Rockland County to see a telescope show?” Allan prevailed and thus the first Northeast Astronomy Forum and Telescope Show was held in 1991 at RCC in the atrium outside the school theater. 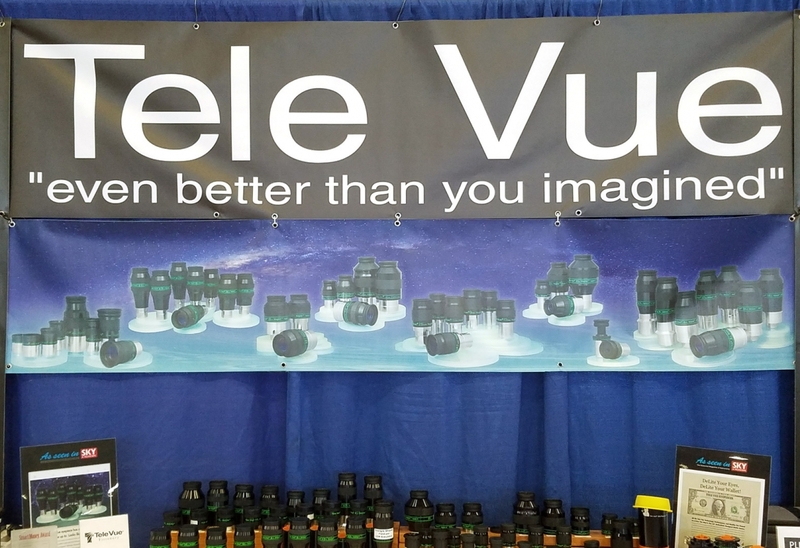 Compared to the current show it was a small affair that included Tele Vue along with a few other companies. A few years later Al staged a Tele Vue “blem” sale to help attract amateur astronomers to the event. He also loaned a Tele Vue Solaris solar scope setup to a member for solar viewing. This was a hit and evolved into the NEAF Solar Star Party that is still held today. In the Field House: over 100 vendors will be at NEAF. 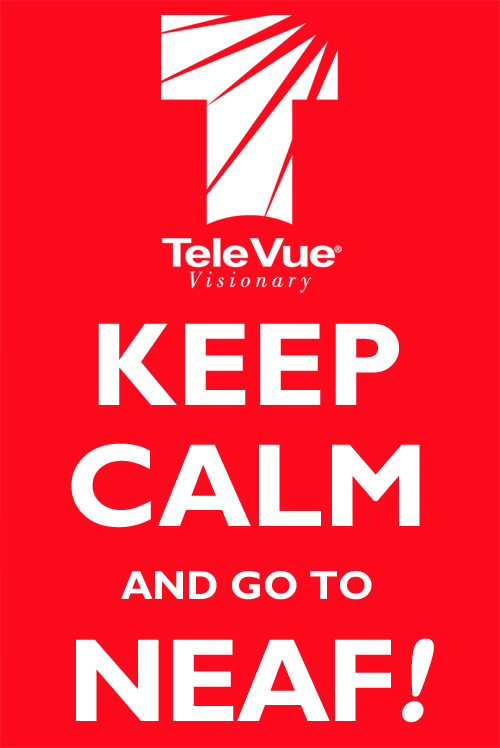 Tele Vue has been at every NEAF since the first one in 1991. We’ll have all our products on display and a number of our dealers will be selling at the show. NEAF has always been a great show for us. It’s a wonderful chance for people to get their hands on our equipment and really see and feel the care and quality we put into our products. So, if you’ve ever wanted to handle our mounted scopes, look through any of our eyepieces, Bandmate filters, view our Night Vision demo, experience a 110° “spacewalk” field, try out a DIOPTRX astigmatism corrector (bring your eyeglass RX), see how a Powermate can be converted from visual to imaging use, or just meet the family – this is the show for you. American Astronomical Society’s Chambliss Amateur Achievement Award winner Dr. Don Bruns speaking on the main stage at NEAF about his experiment to confirm Einstein’s relativity theory by using a Tele Vue-Np101is to measure star deflections during the 2017 solar eclipse. But it’s not just a products show: world-renowned presenters such as NASA Astronauts Walt Cunningham (Apollo 7), Don Pettit (STS/ISS), New Horizons Mission Principal Investigator Alan Stern and others will be there this year. There will also be door prizes, raffles, Kid’s Space, beginner classes, outdoor solar viewing, etc. It is very family friendly. Banners in the Tele Vue booth at NEAF. 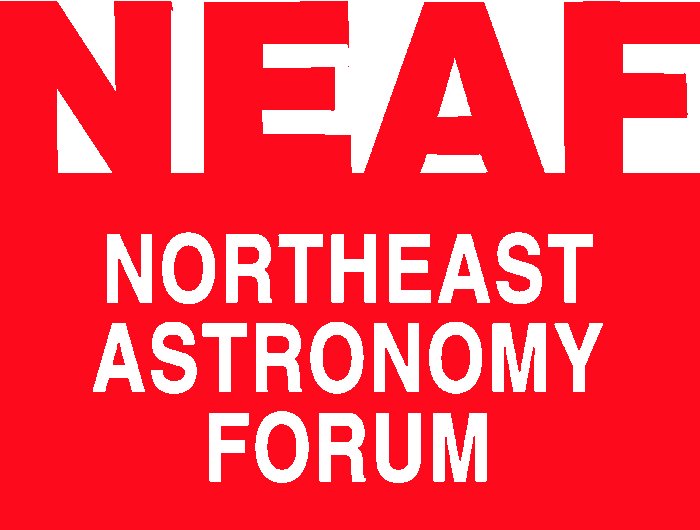 Anyone interested in amateur astronomy will find something of interest at NEAF. So if you’re in the area, just a half-hour north of New York City, please stop by and take a look — you’re sure to get the “NEAF bug” and return year-after-year. Next Next post: NEAF: Tele Vue’s Cosmetic Sale is Back!